Food industry businesses face an array of challenges when trying to keep up with fast-changing consumer trends. 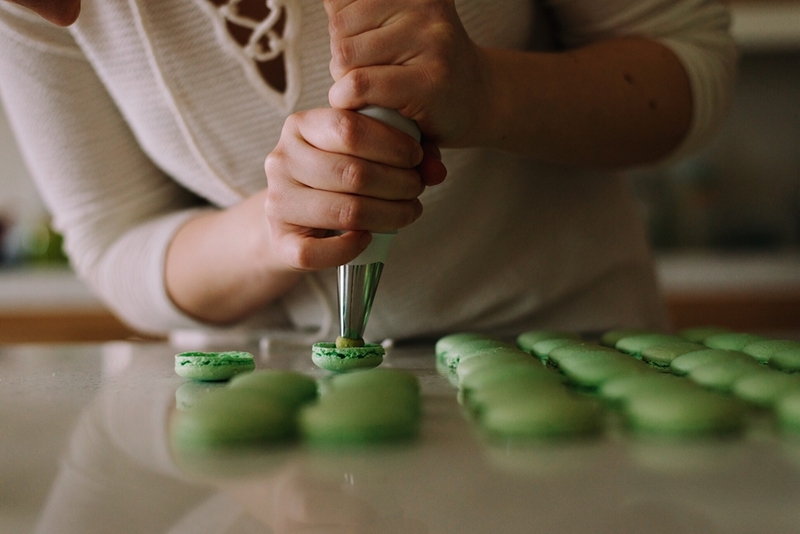 An increased preference towards healthier food items and sustainable eating are just two examples that continue to force change on how businesses operate. Despite these many changes, it’s still possible to keep abreast of current trends and meet varying demands when relevant technologies are utilised. For those wanting to diversify their menus and appeal to broader audiences, the Turbofan 30 series could be the missing ingredient. 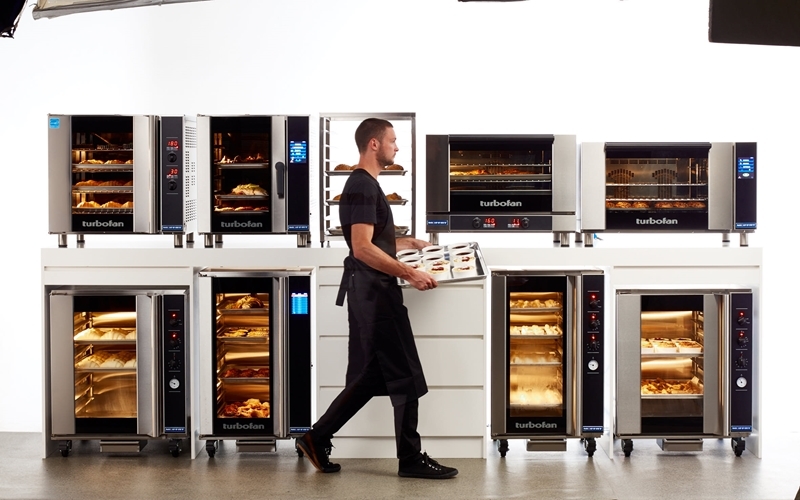 What type of commercial kitchen can utilise the Turbofan convection oven? 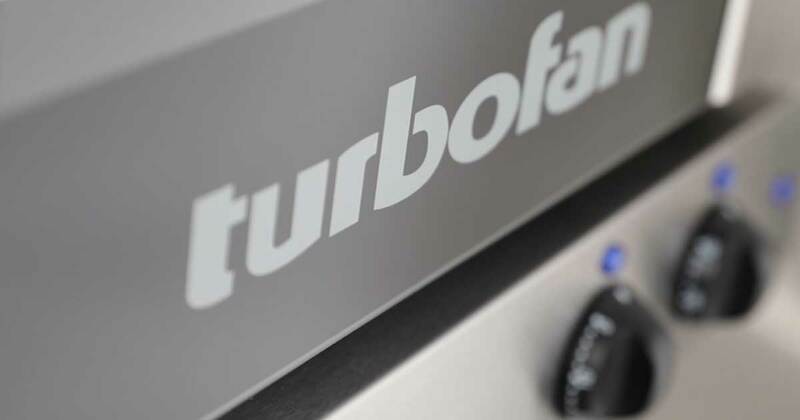 Due to its versatile performance and technologically advanced features, the Turbofan 30 Series range is perfectly suited for any food operator looking for diversity in using an oven as part of the menu creation process – no matter how big or small the franchisee. 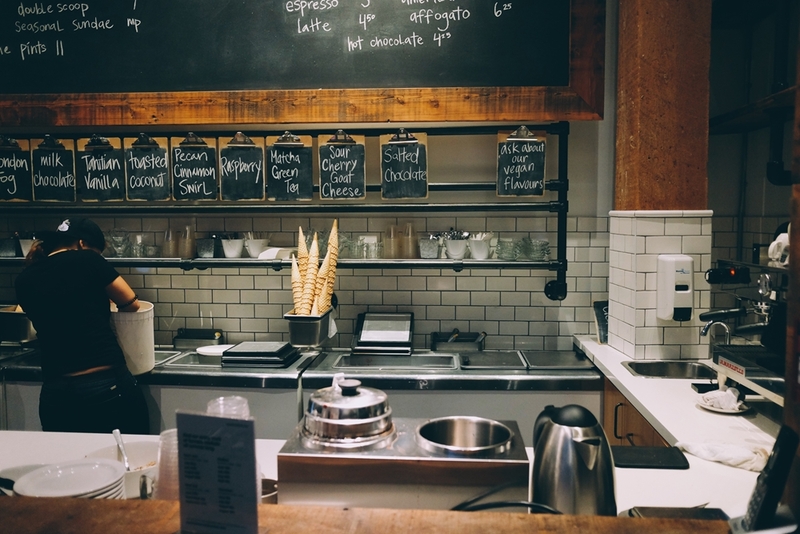 From independent caterers to cafes, restaurants to Quick Service Restaurants (QSR), canteens to stadiums, Turbofan can meet the demands of all food businesses. Whether you require roasting, grilling, regenerating or baking, chefs can enjoy creating a vast array of products in one space with complete ease and minimal effort. After installing the Turbofan oven, busy UK-based boutique cake company Cake Me Baby were able to keep up with high demand as the oven allowed them to create wedding cakes in one smooth transition. The Funky Mexican Cantina (under Hog’s Breath Cafe ownership) was the first full service restaurant to cook with the latest E33D5, giving them more scope to create and provide a wider range of authentic Mexican food from scratch. As the official stage for the 2018 Commonwealth Games’ opening and closing ceremonies (home to 40,000 spectators), Metricon Stadium in Brisbane placed eight Turbofan ovens around the complex to keep up with heavy demand. Creating perfectly cooked pastries is easy with the Turbofan 30 Series. 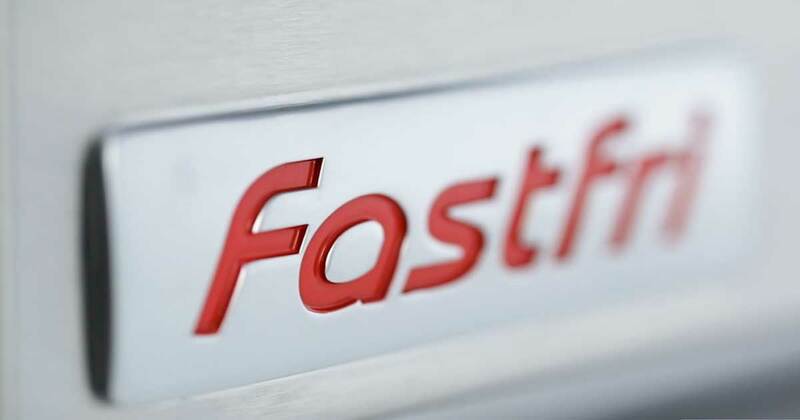 Turbofan ovens all feature specialised fan features, such as single velocity or bi-directional reversing (for E32 and E33), that guarantee powerful and consistent results every time. The W32 and E33 models offer the additional 2 fan speed function allowing chefs to produce a greater variety of products. For example, lower settings can be utilised for delicate products such as soufflés, while higher speeds are ideal for intense heat penetration when cooking shortcrust pastry meat pies. All oven chambers within the range are crafted from vitreous enamel. This material was chosen due to its immense durability, power to trap heat, and easy-to-clean properties. Together with the power circulating fan, the enamel oven chamber ensures heat is spread evenly across all areas, eliminating cold spots and irregular bake results. 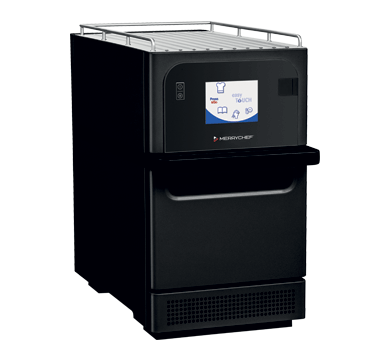 The Turbofan 30 Series boast some of the smallest compact footprints in the industry along with generous tray space and high tray spacing within each layer. Ovens can be double stacked for double production capacity, as well as giving the ability to stack a wider range of products such as casseroles, sponge cakes and roasts all under the same footprint. What models are available in the 30 series range? E31: This E31 model is the perfect plug and play utility oven, designed for grilling, roasting and holding. It has a 4 1/1 pan capacity with 80mm tray spacing within each layer. With the addition of a single direction low-velocity fan, this style is an obvious choice for independent cafes and caterers. E32: The E32’s 2-speed reversing fan system makes cooking, baking, roasting and regenerating easier than ever. The E32 has a 4 x 460mm x 660mm full size pan capacity and 4 x 600mm x 400mm tray capacity, both with 110mm tray spacing. E33: The E33 is ideal for roasting, baking, cooking or regenerating thanks to its 2-speed reversing fan system. This oven is particularly targeted towards commercial kitchens that use 1/1 GN tray sizes, as the E33 has a 5 1/1 GN tray capacity with 85mm tray spacing. If you’d like to learn more about the Turbofan series and test drive one of these leading ovens, get in touch with one of our Moffat IQ reps today.